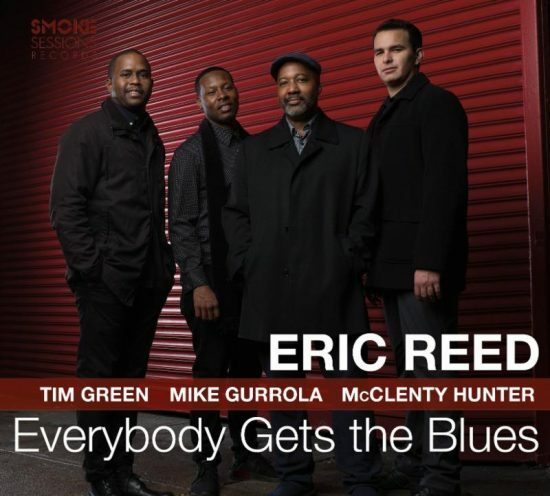 The title of Eric Reed’s new album has a double meaning—as in, everybody understands the blues, and everybody feels down from time to time. “Your blues may not be my blues, but everybody gets them,” he writes in the liner notes. True enough, but this album is too joyful for that to be the parting message. After having listened to it, you’ll understand intuitively—if you don’t already—why Eric Reed is one of the most reliably good pianists in the gospel-jazz tradition. There’s a Coltrane cover (“Naima”), a hat tip to Freddie Hubbard (“Up Jumped Spring”), and snippets of two mainstream pop tunes—the Beatles’ “Yesterday,” in a medley with Jerome Kern’s “Yesterdays,” and Stevie Wonder’s “Don’t You Worry ’Bout a Thing,” which appears as a tag at the end of “Cedar Waltzin,’” Reed’s nod to Cedar Walton. An actual Walton composition, “Martha’s Prize,” is recast here as a funk number. Near the end, Reed plays a phrase from the buoyant Roy Hargrove earworm “Strasbourg/St. Denis,” an upbeat line that’s in keeping with this album’s optimistic spirit, its title notwithstanding. Preview, buy or download Everybody Gets the Blues on Amazon!